KANAZAWA, Japan - More than 20,000 people were ordered to evacuate Friday as heavy rain caused flooding in part of central and northeastern Japan. The weather agency warned of landslides and flooding in other areas as the front bringing heavy rain is expected to travel southward to eastern and western regions through Saturday. 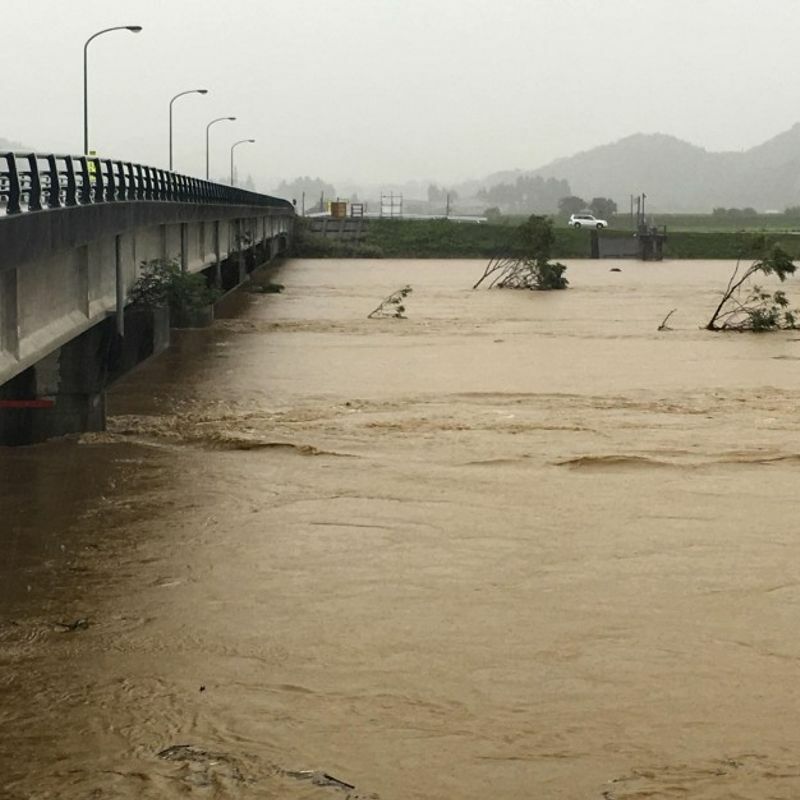 An evacuation order was issued for 7,965 people in the city of Nanao in Ishikawa Prefecture, central Japan, as the Kumaki River overflowed. The town of Hodatsushimizu in the prefecture also ordered 13,337 residents to evacuate. In the northeastern prefecture of Yamagata, a landslide blocked a road in the village of Tozawa, temporarily trapping five people. The Mogamioguni River in the same prefecture also flooded and a suspension bridge over it collapsed. The torrential rain also disrupted railway operations. Shinkansen bullet train services between Yamagata and Shinjo stations, and Thunderbird and Shirasagi limited express trains to and from Kanazawa Station in Ishikawa Prefecture were suspended, according to the operators. 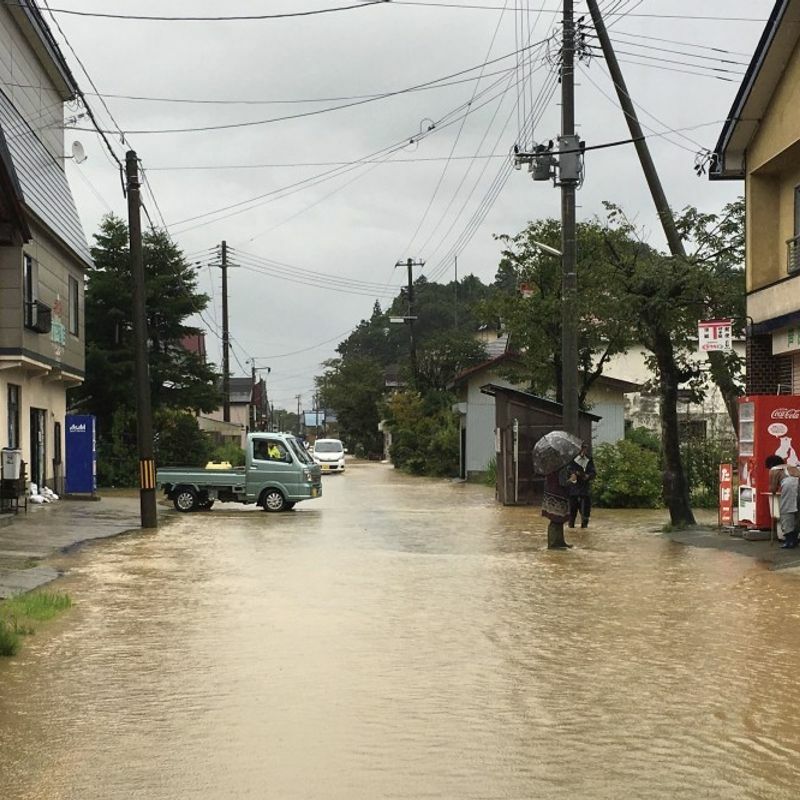 On Friday morning, 77 millimeters of rain was recorded in an hour in the city of Wajima in Ishikawa and 56 mm in the town of Kaneyama in Yamagata, according to the Japan Meteorological Agency. With the rainy front extended from the Sea of Japan to the northern Tohoku region, damp and warm air flowed over the country, creating unstable atmospheric conditions, the weather agency said. In the 24-hour period through Saturday morning, up to 180 mm of rain is expected in the northeastern and central regions, and up to 120 mm in western Japan.